This photo is my entry for the #colorchallenge. 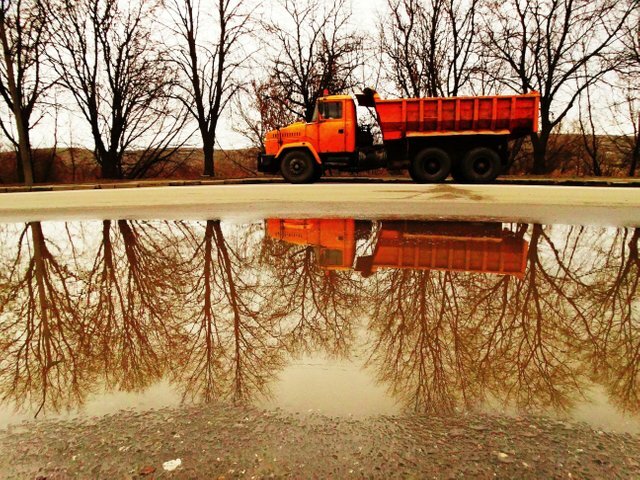 I can not explain it, but puddles attract my attention. I see them as finished pictures. These are my personal feelings, or views. These are not just photos of events or items. Here, a lot of components, a puddle, its edges, a roadside, a road, an object, or a vehicle, as in this picture. These can be oil stains on the surface of the water, dry leaves that float on water. Friends, from two photographs you can choose the one that is more suited to the topic of today. 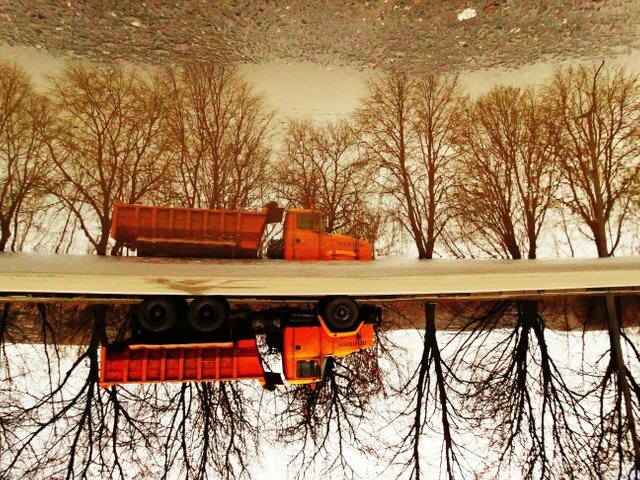 I prefer the inverted version, where the main focus is not on the car itself, but on its reflection in a puddle. I arranged a hunt for orange. But, just taking pictures of cars is boring for me. Puddle, this is what should add some zest to this image. A small puzzle for sight and perception of space is always useful.